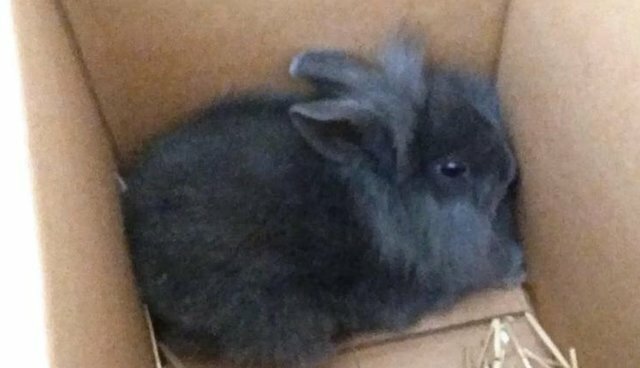 A little rabbit has sparked a global uproar after a Danish radio host featured him on his show - and then killed him. Asger Juhl invited the 9-week-old rabbit, Allan, on his show during a discussion about animal welfare. He then proceeded to club the young rabbit to death, cook him and eat him. While Juhl and his team have said that the stunt was designed to highlight the "hypocrisy of animal welfare standards," the public isn't buying it. Many people are, naturally, furious with Juhl for performing a brutal, unnecessary act in the name of animal welfare, with some accusing him of animal abuse and calling for him to be fired. But the sad truth is, there's no difference between little Allan and the thousands of rabbits killed for meat every day; he is the same breed and same age as many of them. And like the billions of animals raised on factory farms across the world, he was killed in a "humane" and legal way. The only difference is that Allan was killed at a radio station where people could hear it.